In the UK and Ireland, crops are generally well established but the current weather conditions are leading to abiotic stress at a time that the plants are about start rapid growth. An application of AminoA+ now in the first pass through the crop will help plants grow away quickly and make best use of the nutrients available. 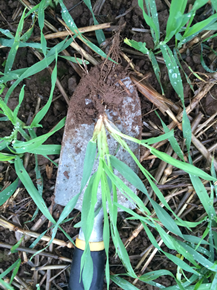 The current priorities for applications should be Winter Barley, to ensure tiller survival, Second Wheats, crops that have impaired rooting and min-zero till crops that are showing signs of stress. In general, we recommend using a 1.5 kg/ha dose rate. Apply with your next fungicide pass but, in general, the earlier the better as applications after GS29 will not have any influence on ear development. It will also help protect the crop from the effects of a late frost. Another strategy which some growers are adopting is to use a small amount of product 0.5 kg./ha in every tank mix and reduce other inputs to make this cost neutral. As AminoA+ is highly concentrated, even this dose still delivers more active ingredient than 4-5 litres of typical biostimulant products. In the event of a damaging frost event a 2.5 kg/ha application of AminoA+ as soon as possible after it occurs can help remediate the damage. In independent trials a programme of AminoA+ treatments resulted yield increases from 6-18.8% Winter Wheat. Our recommendation is to include 1.5 kg/ha AminoA+ with the next pass through the crop which will stimulate bud formation and also afford some level of frost protection. Prioritize any crops that are exhibiting signs of root impairment from waterlogging, club root etc. In the event of a damaging frost event a 2.5 kg/ha application of AminoA+ as soon as possible after it occurs can help remediate the damage. 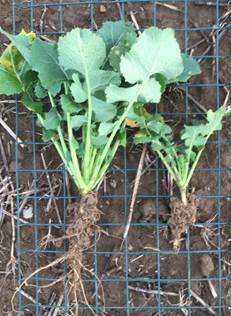 In independent trials a programme of AminoA+ treatments resulted in yield increases from 250kg to over 1 tonne ha. For technical advice UK and Ireland call Richard Phillips 07837724860.